It was said that come Ragnarök, the end of the world, the death of the cosmos and the gods would be at hand. The world serpent, Jörmungandr, would emerge from the sea to poison the ocean and air. Surtr would split the sky, causing natural disasters to run rampant, ushering in great battles, the death of many gods and a new age for man. The Banner Saga 3, developed by Stoic Studio and published by Versus Evil, is turn-based combat and narrative-driven adventure. It’s a game that flips the aforementioned tale of gods upside down and paints its own version of a world-ending cataclysmic event set in the Viking-age, rather than the traditional Norse myth that most are familiar with. Rich Narrative – Caught in the middle of a perpetual twilight where the sun no longer moves, the world is on the brink of destruction and is in danger of being taken over by the Dredge, a species long thought to be extinct. In terms of narrative, The Banner Saga 3 isn’t the greatest jumping-in point if you’ve never played the series before, as the game has a rich cast of characters that you’re expected to be already familiar with, and events from the previous entry are currently at their crescendo. That being said, the story told here is complex in the way that it handles specific topics such as racism, religion and sexism. The main premise of The Banner Saga 3 is typical fantasy fare, but the high-points of the narrative come from how well it’s all interconnected – with 40+ characters who have their own personal motivations and beliefs, the interactions between them and how their stark differences complement one another leading to conflict or brotherhood. It’s a fully-developed world, and it shows mostly through the character interactions. The stakes feel high as you try to hold the last stronghold of humanity, with the Dredge slowly closing in around you as each day passes. Meanwhile across the world, another group of characters journey to the center of the darkness to try to find a solution before the world ends. Choices Have Impact – The Banner Saga 3 is the final entry in a planned trilogy, so it’s only fitting that you’ll see the culmination to your choices from previous titles in the epic conclusion. Much like other games, Mass Effect being the main example, you’re able to import your save file from previous entries so that your choices carry over. If no file exists, then a default world state is created for you, leaving you to choose between which of the two main protagonists you’d like to play as. Choices are huge, as they can have great benefits to your party in the form of resources or characters joining your banner, but they can also have devastating consequences such as; rendering a character who is integral to the story deceased. It pays to be cautious and think each situation through before deciding on an action. There is a timer ticking atop the screen indicating the days that have passed. You have a set amount of time to accomplish certain tasks, so your choices will dictate if you fail or succeed in saving the world, if your banner has enough food and if the morale is high or low. If you don’t manage your banner or resources properly, you won’t reach the 30th day, and the ending that you receive won’t have such a positive outcome. 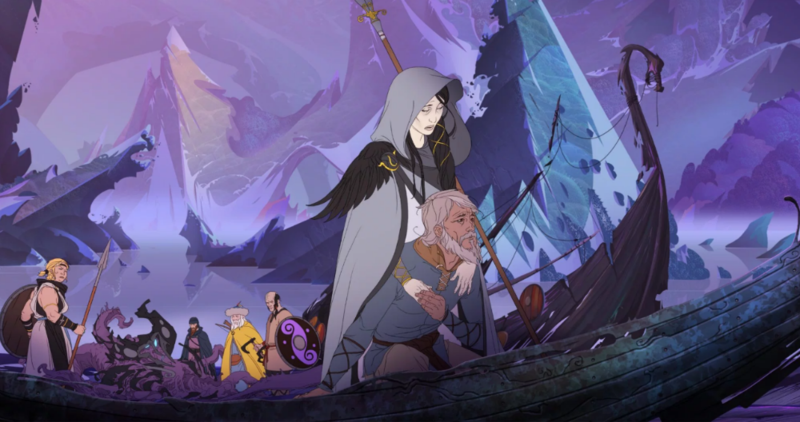 Art Style – As you’ve probably already noticed from the images in this review, The Banner Saga 3 has a unique hand-drawn art style to help heighten its fantasy setting. The visuals are absolutely gorgeous, colorful and help to express the ancient evil of the Dredge as the darkness they bring sweeps-in to blanket the mountains, warping them to purple distortion. The typical cut-scene involves characters standing still and emoting very little with no voice acting, but the art style manages to take the burden on its shoulders to work in tandem with the writing so that it delivers emotion to even the most basic scene. Although they are rare, the occasional fully-animated cut-scene, voice acting included, will rear its head to highlight a particularly emotional moment in the story. Regardless if in motion or standing still, the timeless visuals are something to be marveled at and give the game a look of its own. In-depth Combat – The Banner Saga 3 features a turn-based style of gameplay reminiscent of Final Fantasy Tactics. Your core party is made up of 6 heroes. You’re placed on the battlefield and have to manage willpower, health and stamina all while taking turns with the enemy A.I. Each character class has their own unique set of attacks ranging from swings of an axe that knock the enemy back a few tiles, casting confusion so that the enemy attacks their own party, buffing party members to better withstand attacks, or setting trap tiles in hopes that the enemy advances onto that specific square so that you can deal critical damage. Outside of combat, you’re able to outfit your various party members with trinkets to strengthen their attributes, promote them after winning battles and upgrade their titles so that they’re able to unlock unique master abilities. It’s a very in-depth combat system that compliments your narrative choices, as making a particular decision in the story could influence how strong certain characters are and the inventory they go into battle with. Soundtrack – Grammy-nominated composer Austin Wintory orchestrates the ever-present score. If the visuals and narrative of The Banner Saga 3 are a chocolate sundae, then the sweeping emotional soundtrack is the cherry on top. Recorded by a live orchestra, it helps push home the trilogy of games on a high-note and ties together an emotional end to a high-stakes journey. 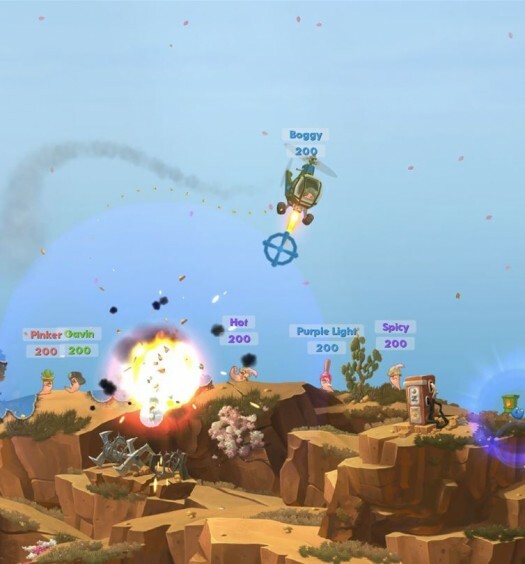 Padded Length – Some gameplay encounters feel superfluous, and while the turn-based combat itself is designed well, the game can begin to drag some in the middle act as you’re being thrown into combat scenarios for the sake of fighting and nothing else. It feels like some battles are there to only artificially lengthen the game, which sits at around 12-14 hours, and it bogs down an otherwise tight-knit experience. The Banner Saga 3 is a truly wonderful interactive story and a solid tactical role-playing game. While this entry can stand on its own in the trilogy, The Banner Saga should be experienced as one cohesive work across the three games. It’s a fitting end to a harrowing journey. It’s not often that games are developed as such a complete package, from the art and gameplay to the narrative and score – everything comes together in harmony as an incredibly unique experience. The Banner Saga 3 was developed by Stoic Studio and published by Versus Evil on Xbox One. It was released on July 26th, 2018, for $24.99. A copy was provided for review purposes.